Put the Electronics Away, Grab your "Ears", & Just Play! Back when I was younger, my mother never bought us electronics. She would spend her paychecks on the latest Barbie dolls, baby dolls , and action figures. I'm certain that was what contributed to our very vivid imaginations, creativity , and great ability to pretend play. When my daughter was born, I vowed that she would be an adventurous spirit. I am so happy that my little adventurer plays doctor with me, pretends to cook, Feeds her baby, & even pretends to be a baby herself by saying "Wah-Wah!" After providing you with some facts about how PLAY has cognitive , communication, creativity , physical , social ,and emotional benefits... 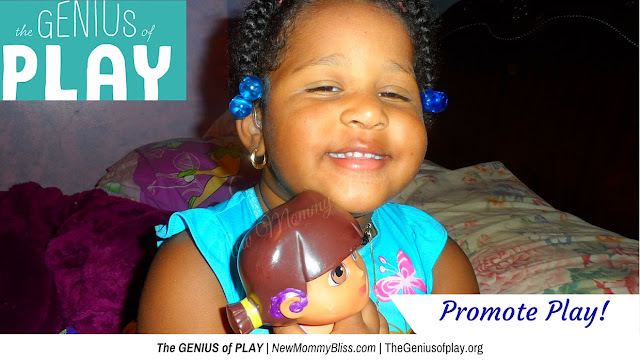 I will show you how and why I encourage my daughter to play. Aside from all the amazing benefits, I feel that play and imagination are what causes a child to truly thrive in life. My 2.5 year old has hearing loss. When we play with her , we like to do a lot of sound effects , repetition , Word play , and "Where is it?" games to promote new words and language. 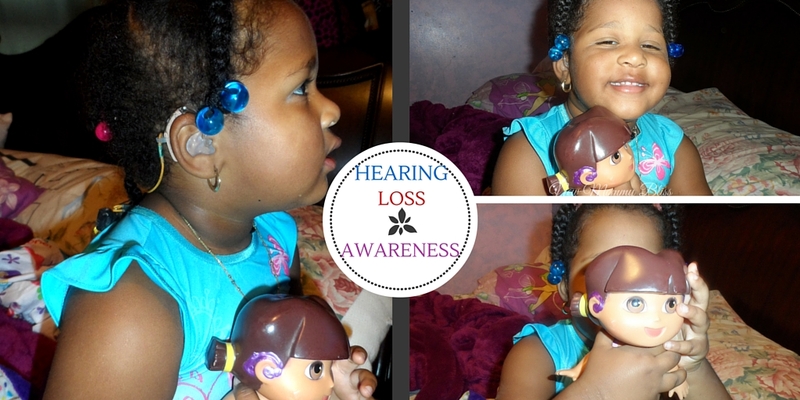 We never let the diagnosis of hearing loss affect how big we knew her vocabulary was going to be. Being in a bilingual household also played a roll since she was taught two words (one English , one Spanish) with the same meaning and a visual presentation of it. I also encourage Gabby to play with baby dolls. I love to find baby dolls that look like my child. No,I don't mean physical traits like eye color, hair, or skin color because my daughter has all types... I mean look like her in the sense of disability. 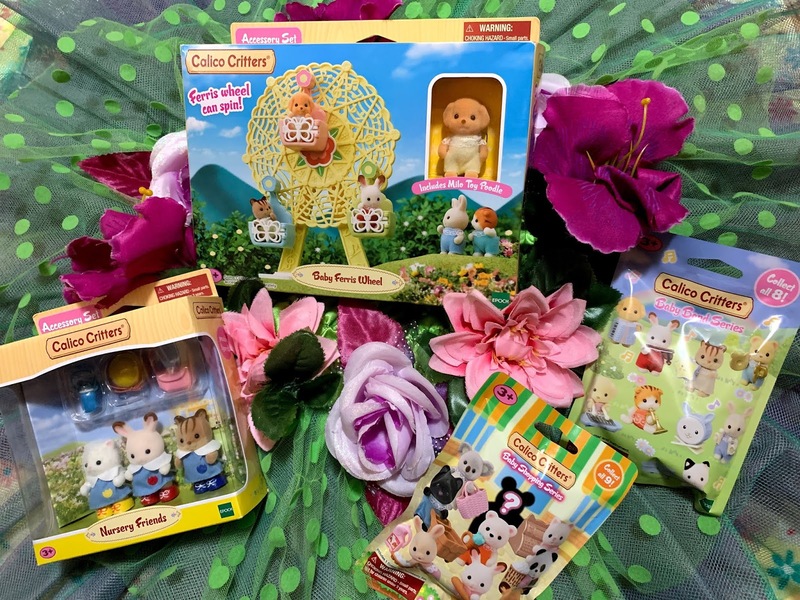 Finding a doll that wears hearing aides is like finding a needle in a haystack. 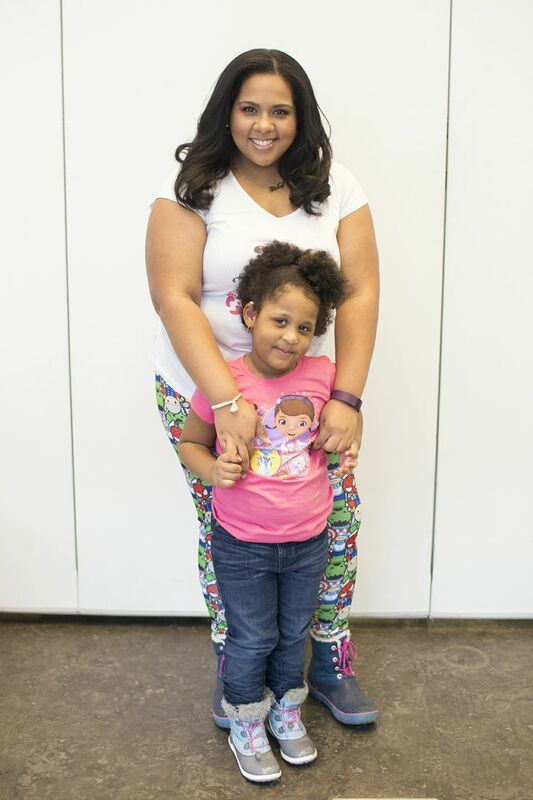 I had to find a solution so that my amazing daughter wouldn't feel like she couldn't relate. Using Puffy Paint,I turned her dolls into toys like her and her speech therapy friends. 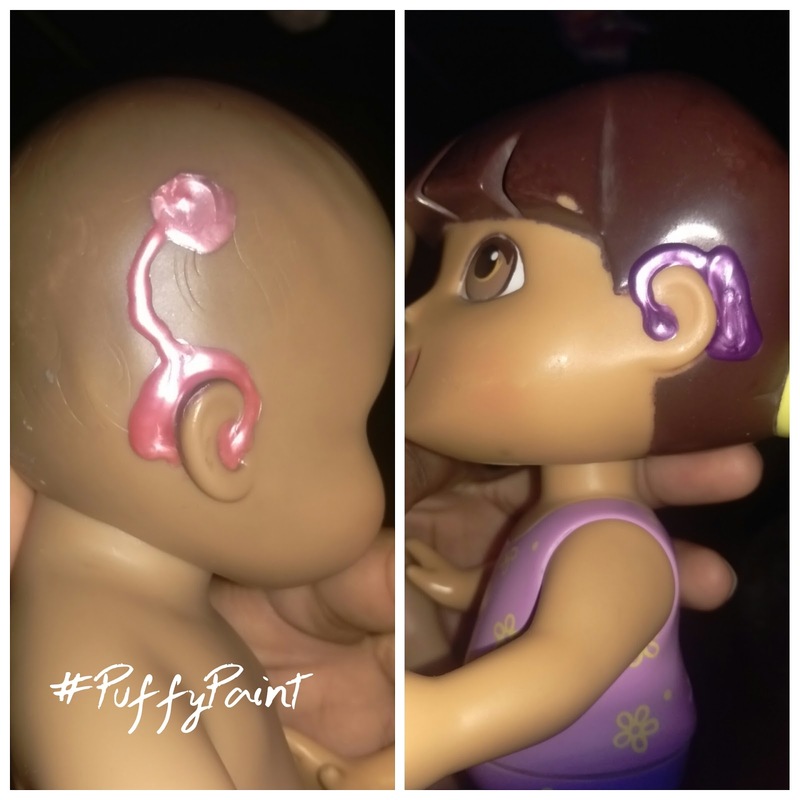 It's truly amazing to hear your toddler always point out that her Dora & Baby have "ears like Gabby". It's a Tear-Jerker every time. A note to Parents: Please encourage your little ones to play. No digital games! Get them some hands on activities or invent a fun new game for them. I took a pledge to play & I'd love for you to join me! Take the Pledge and check out the super cute Genius of Play video below. 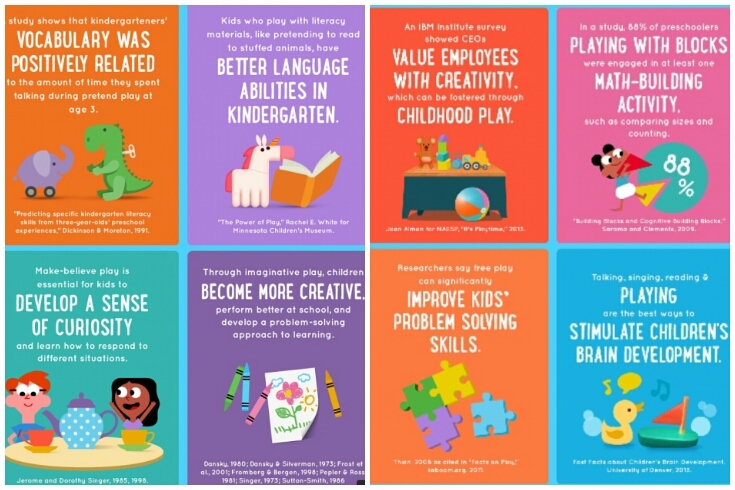 Imaginative play has wonderful benefits. I love that you added a hearing aid to your daughter's dolls. What a great momma! She is adorable! Imaginative Play is the best kind of play! Great post! What an awesome way to make your dolls more relatable. Your play ideas are great! I agree! As much of a technology push that we're all in, I think it is so powerful and beneficial to just exist without being face-first in an electronic often. I agree too! Your play ideas are great! Love this - so smart and I love your use of puffy paint, the printable cards and the idea of play. I love what you did here! And I love the fact that instead of using electronics, you interact with your daughter. We are raising our son in a bilingual household as well, and speaking to him without any interference is the best way he can learn.